Delivering a keynote in San Diego, this coming Thursday (March 20), at “The Sacred & The Profane,” a conference at San Diego State University. 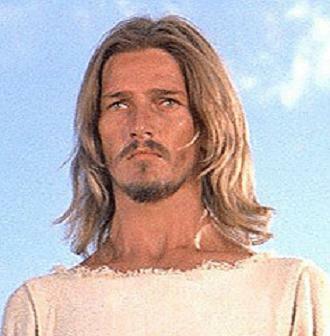 Ted Neeley in JESUS CHRIST SUPERSTAR. The Messiah as don’t-harsh-my-mellow SoCal dude. In this lecture, equal parts personal essay and cultural critique, Dery—now a godless leftist—takes us on a Proustian flashback to his days as a teenage fundie—a Jesus Freak caught up in the “born-again” religious fervor that swept Southern California in the ’70s. Excavating the SoCal history of that mutant strain of ad-hoc Christianity that Harold Bloom calls “the American religion,” he’ll deliver a fire-and-brimstone critique of the paleoconservatism, flat-earth fundamentalism, and deep-dyed anti-intellectualism that have made San Diego, throughout much of its intellectual history, not only a theme-park mirage in the Desert of the Real (“America’s Finest City”) but a Mojave of the Mind. At the same time, Dery attempts to consider the “situated knowledges” and “lived experiences” of that lost world through his 15-year-old eyes and through his cynical, unbelieving 48-year-old eyes—to cast a gimlet eye on the creepy cultism and gape-mouthed credulity of the ‘Jesus People’ movement and acknowledge the fact that it brought him closer to a transport of metanoiac rapture than anything since. When: 11-6:15. NOTE: I go on at 5:00 PM. For further details, contact Nathan Leaman (619.886.8109). Salman Rushdie once wrote, “human beings do not perceive things whole; we are not gods but wounded creatures, cracked lenses, capable only of fractured perceptions.” In this interdisciplinary conference, we invite original works that explore the way we construct meaning out of historical, theoretical, and literary works. If you drop by, be sure to tug on my sleeve. I’ll be milling around aimlessly afterward, hoisting a margarita with faculty, grad students, and you. This was written by Mark Dery. Posted on Saturday, March 15, 2008, at 5:39 pm. Filed under Cali, News. Bookmark the permalink. Follow comments here with the RSS feed. Comments are closed, but you can leave a trackback.